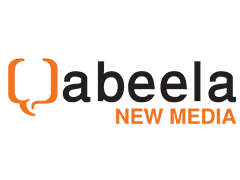 Our primary focus is to support entrepreneurs and businesses with the aim of creating a thriving and diversified media sector here in Abu Dhabi serving the Arab world. We take a hands-on approach in all businesses that we support. In addition to providing funding we work with entrepreneurs and early stage businesses to develop their business plans and also provide ongoing expertise, support and mentoring to help businesses succeed. we fund and support start-ups, early stage and growth businesses across all the wider media and entertainment platform including but not limited to media-tech, digital, mobile, web, music, gaming, etc. Each of our investments represents a great idea. Take a look at them right here. Founded in 2010, Falafel Games is a leading developer for regional MMO titles that are culturally relevant and speak to Arab audiences. The company’s founders; Vince Ghossoub and Radwan Kasmiya, have extensive experience in game development both regionally and internationally. The company aspires to be the leading developer of Browser and Mobile MMO Games in both the Middle East and the Muslim World through highly relevant content. It is the producer of “Knights of Glory” -the first Arabic MMOSG (Massive Multiplayer Online Strategy Game) with Arabic themes, winner of the Readers’ Choice Awards for 2011, 2012 and 2013, and currently the best-selling browser MMO in the MENA- and boasts an impressive pipeline of future titles. The Luxury Closet is a fast growing online market platform that buys, sells, and consigns personal luxury goods, mostly pre-owned, at a discounted price. The Luxury team maintains brand and item integrity with the assurance of authenticity. The Luxury Closet is the first of its kind in the GCC region in terms of size, market reach and scalability. All items can be shipped worldwide, with cash on delivery available in the UAE. Jawaker is a social card gaming network – hosting the most popular Middle Eastern card games including Tarneeb, Trix, Hand, Baloot, and Estimation. Founded in 2009, Jawaker quickly grew to cater to hundreds of thousands of users a month. By allowing gamers to use cards to purchase game features, through online micro-payment gateway, the site has worked around one of the region’s biggest obstacles- low rates of banking and online cash transfer. Jawaker is headquartered in Abu Dhabi, UAE with offices in Amman, Jordan. Collectionair is an online art marketplace focusing on emerging art scenes and the oriental art work that allows art lovers to buy, rent and swap works of art. Collectionair is trying to solve several issues for customers that want to discover and experience art, but do not have enough information to decide on what art work to purchase. The marketplace also provides opportunities for sellers to monetize their art not only by selling, but also renting or swapping artwork, while partnering with art galleries and local art curators to source the best pieces. Nibras is the Arab World’s first e-learning portal to promote the concept of Continuing Professional Education (CPE) and the ticket to self actualization. Nibras replicates what educators do, face-to-face, in classrooms through the Internet using short, creative and easily-understood video-based training courses in Arabic. t-break Media is an online consumer publishing business focusing on technology, gaming and movies. With a dedicated in-house team and contributors, t-break provides high quality expert editorial, specifically targeting the Middle East’s gaming and tech enthusiasts, offering professional reviews and timely news. Capitalising on its position as the leading online tech and gaming publisher in the UAE, in collaboration with twofour54, t-break is targeting the wider regional market in Arabic, as well as continuing to grow its highly successful gaming event activities. Silkroad Images is a provider of exclusive Turkish, Oriental and Middle Eastern stock photography (images) and audio-video content. This includes thousands of images (segmented into multiple, unique categories) that have been sourced from reputable photographers from across the region and created by Silkroad. The main mission is to become the ultimate source of high quality and exclusive stock photography and Audio-Video Content in the MENA region. Silkroad Images is competing in the oriental niche of the stock photography and digital content industry, that is directly related to the growth of the advertising sector in Turkey and MENA region. Unnyhog is a fast-paced cross-platform gaming startup, that enables players to use mobile and PC seamlessly, thanks to a unique technology that the founders have built. The solution is a gesture control system, that allows mobile and PC players alike to both play a fast-paced game. Unnyhog offers innovations in the technology and game design by enabling millions of people all over the world to play together, by inviting each other to team up, and defend their group planets. PopArabia is the leading music rights company and consultancy in the Middle East and North Africa (MENA). As an integrated and multi-faceted 21st century music company we both connect people in the Middle East to the music they want access to, and connect international music stakeholders to opportunities in the Arab world. Istikana, an Arabic version of Netflix, offers full length video content in Arabic that is one hundred percent legal. With on-demand videos in a variety of genres from Cartoons and Theatre, to Comedy and Religion, take a trip down memory lane with some great Arabic classics or discover some shows you’re too young to remember. With 3 to 4 new titles released on a weekly basis, you can constantly come back to Istikana and get your fix of Arabic videos. Istikana can also be accessed on the go from your iOS or Android devices. Founded in 2011, Mumzworld has enjoyed considerable growth across the region, tapping into a fast growing regional market segment with an award-winning online platform that is bi-lingual, user-friendly and offers the largest online inventory available in the GCC. The site currently has access to over 650,000 mothers in the region and has very high loyalty with over 45 per cent of its customers coming back to buy 5-6 times a year. A leading digital media company and home to top influencers and content creators. Alfan currently creates content and partners with content creators to monetize, protect, manage and grow their video content. With more than 300 content creators and over 1 Billion monthly views, Alfan is one of the leading Multi-Channel Networks (MCN) in the MENA region. Narrativa is a leading technology company that uses artificial intelligence (AI) to translate data into easy-to-understand content by using proprietary AI technology to automatically transform large data sets into accessible narrative content. .
Narrativa is the only company worldwide to automatically generate content in Arabic – along with several other languages. Flat6Labs Abu Dhabi is a global hub for digital innovation that will support a generation of entrepreneurs from the UAE and abroad to launch digital businesses in Abu Dhabi and scale to regional and global markets. Supported by twofour54, Flat6Labs Abu Dhabi will support startups at idea, early, and growth phases, with a focus on media and digital content, including media and film production, e-commerce, social media, online education, gaming, mobile apps, and big data and analytics. In its competitive core program, Flat6Labs Abu Dhabi will provide entrepreneurs with seed funding, strategic mentorship, office space, a multitude of perks and services from partners, and entrepreneurship-focused business training and development workshops, all engineered to prepare companies to be investment-ready within four and a half months.